And they led Jesus to the high priest. And all the chief priests and the elders and the scribes came together. And Peter had followed him at a distance, right into the courtyard of the high priest. And he was sitting with the guards and warming himself at the fire. 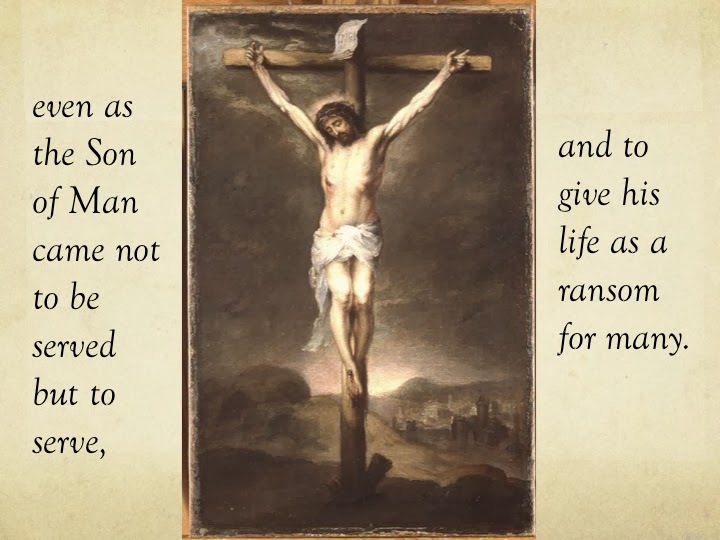 Now the chief priests and the whole council were seeking testimony against Jesus to put him to death, but they found none. For many bore false witness against him, but their testimony did not agree. And some stood up and bore false witness against him, saying, “We heard him say, ‘I will destroy this temple that is made with hands, and in three days I will build another, not made with hands.’”Yet even about this their testimony did not agree. And the high priest stood up in the midst and asked Jesus, “Have you no answer to make? What is it that these men testify against you?” But he remained silent and made no answer. 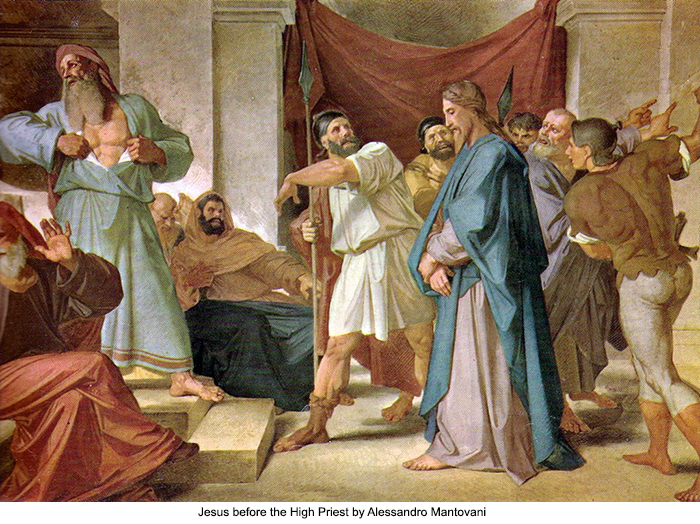 Again the high priest asked him, “Are you the Christ, the Son of the Blessed?” And Jesus said, “I am, and you will see the Son of Man seated at the right hand of Power, and coming with the clouds of heaven.” And the high priest tore his garments and said, “What further witnesses do we need? You have heard his blasphemy. What is your decision?” And they all condemned him as deserving death. And some began to spit on him and to cover his face and to strike him, saying to him, “Prophesy!” And the guards received him with blows.